In previous posts and through other media forms I have tried to give a picture of the need for access to surgical care in rural Africa. Recently, this need was highlighted in a paper that was published in the Lancet and was subsequently reported on in the BBC. Please see this link to read more- No Access to Safe Surgery . The conclusion is that most of the world’s poor do not have access to adequate surgical care. This growing awareness of the worldwide surgial need has prompted brainstorming from various health organizations on how to meet this need. Certainly, training surgeons is one of the methods to help pave the way for better surgical care. This is what has drawn our family to Kenya. However, there are other ways. Surgical “camps” are one of the ways that various groups have used to try to relieve the surgical disease burden in one locality. The idea is to do as many surgeries as possible over a few days while providing this care for free or at a significantly reduced rate. Typically these camps are done in areas where there is not immediate access to to surgical facilities, and, often times, it is professionals from other countries who are coming to donate their time and expertise. Last week, I travelled to far western Kenya along with one of our third year residents, Dr. Valentine Mbithi, for a 3 day surgical camp. This well-organized camp is at a small clinic which is run by Kenya Reflief. 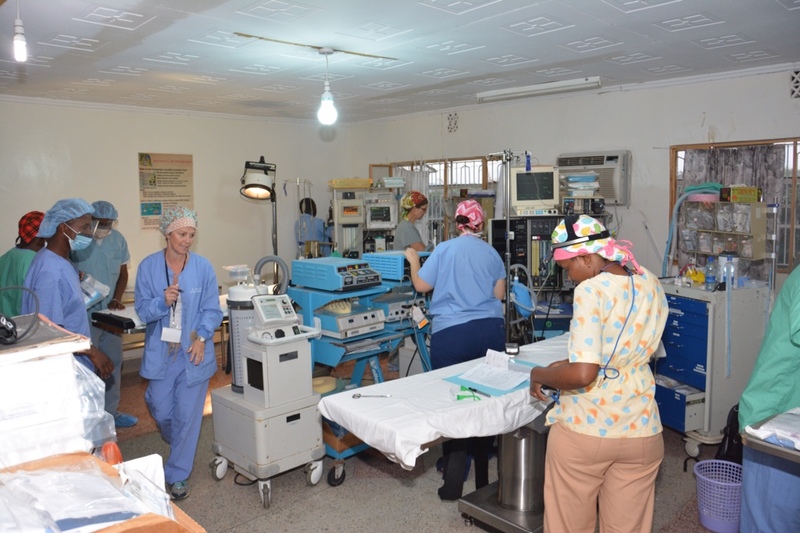 At least monthly, teams (usually from the U.S.) come to do as many surgeries as possible over 3 days. However, for July, the team travelling from the U.S. was lacking surgeons… which of course is a key ingredient in providing surgery. We were asked to help fill the gap and we gladly accepted. I felt like this would be a great opportunity for Dr. Mbithi and I to participate in mission outreach, plus it would allow her to operate a little more independently as we would both be running OR rooms. 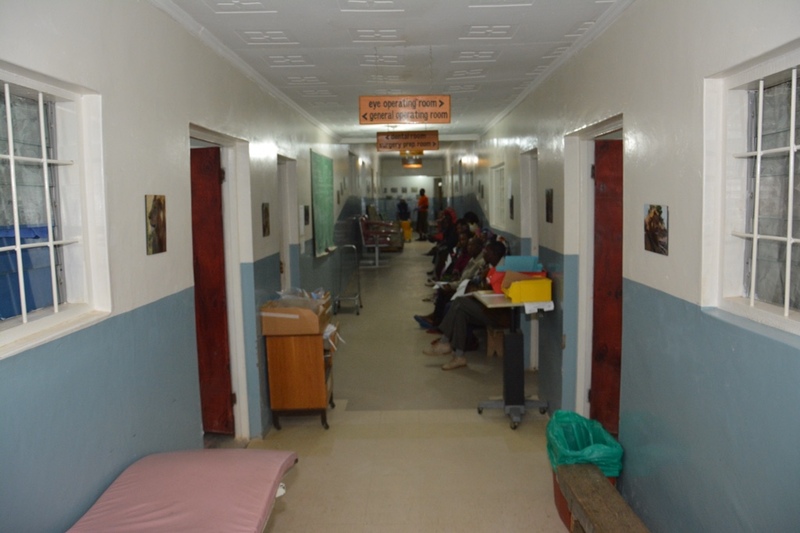 Inside the clinic, patients begin arriving for the day’s surgeries. Our team setting up the OR on our first day. We arrived on a Sunday afternoon after travelling about 3 hours from Tenwek to an area that I had not been before. The last hour was on a narrow road that twisted and turned through sugar cane farms. I felt grateful to arrive in one piece- we were run off the road twice by high speed buses who were out of control on the narrow roads. After settling in, we met the team who we would be serving with. There were four CRNA’s from various locations in the U.S., as well as a recovery room nurse. We quickly made our way to the screening clinic were we evaluated and scheduled patients for the next 3 days. The most common diagnosis was thyroid goiter. These huge goiters are often times caused by iodine deficiency and can grow so large that they cause problems with swallowing or even breathing. However, we also saw patients with hernias and other lumps and bumps. We worked into the evening, ate a big dinner, and then crashed. 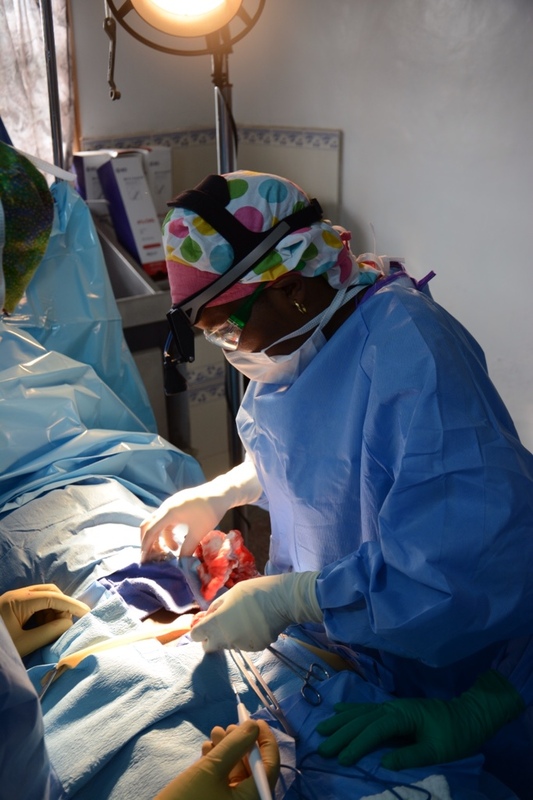 Dr. Mbithi starting a hernia repair. By 6:30 the next morning, we were back to the clinic and ready to start surgeries. 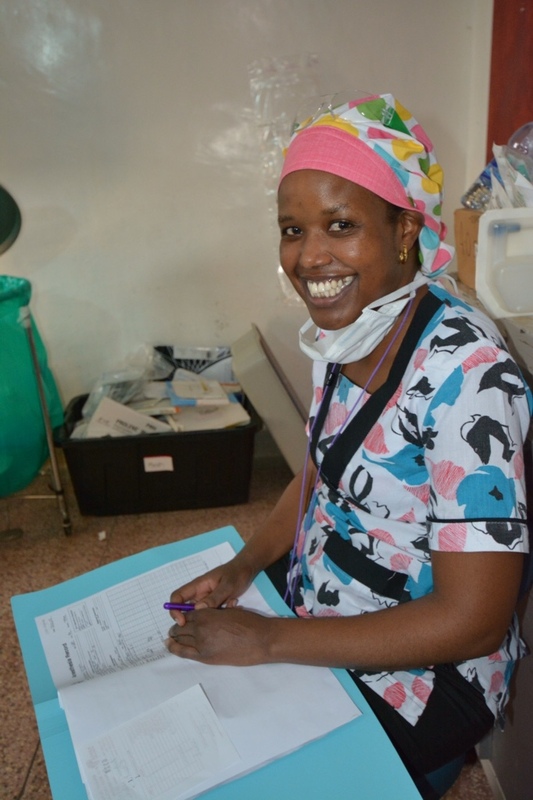 We worked out of one OR which had two surgery tables, so Dr. Mbithi and I were in close proximity. If she had a question or concern, I could quickly provide guidance. In the morning we did smaller cases independently, and as the afternoon started, we began thyroid-fest. Our team was incredibly efficient. We had almost no break between surgeries, which as surgeons, we love. Thyroidectomies are more complex cases, so Dr. Mbithi and I would work togther during the key parts of the operations, and then one of us would close the wound while the other headed to the next table to start the next case. Our team worked until 9:00 or 10:00 at night for the next two days. In two and a half days of operating, we did 24 operations. In total, we removed 9 thyroids, fixed 5 hernias, and did several other smaller operations including a lip reconstruction from a poorly healed tramatic injury. We also performed the first cytoscopy (looking into the bladder with a camera) that had been done at the clinic. By Wednesday afternoon, we were beat. 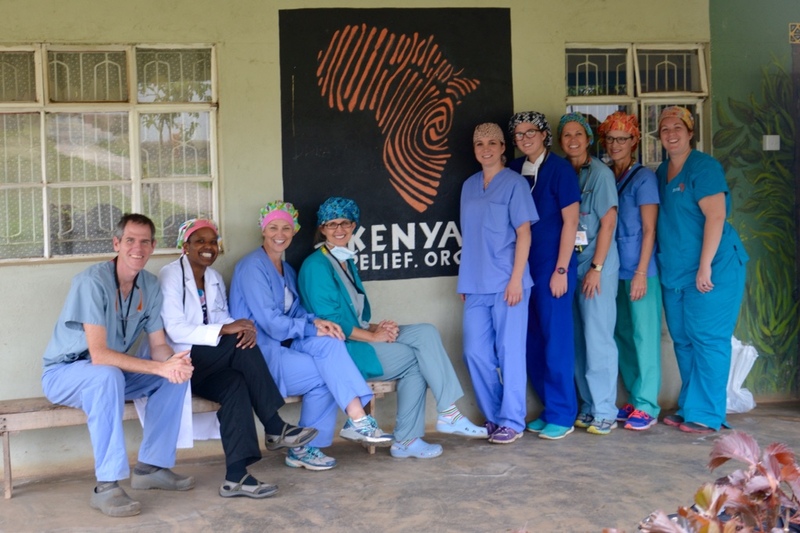 Our team members were incredible to work with and I give a big “hats-off” to Kenya Relief and the missionaries who are there on the ground making these camps happen. In addition to doing surgeries, we referred many patients who were too complex to operate on at the camp to follow up with us at Tenwek. 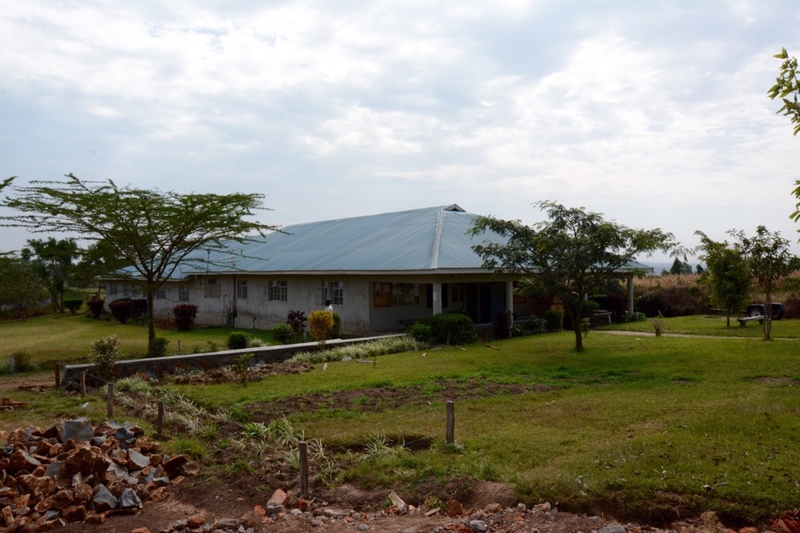 In this manner, we were able to extend care and continuity that many short camps are unable to provide. As we drove home to Tenwek, Valentine asked me if we could bypass letting one of the other 13 residents come on the next trip so that she could return. This is what I am most thankful for… seeing our trainees develop a vision for service and outreach to those who are in desparate need.